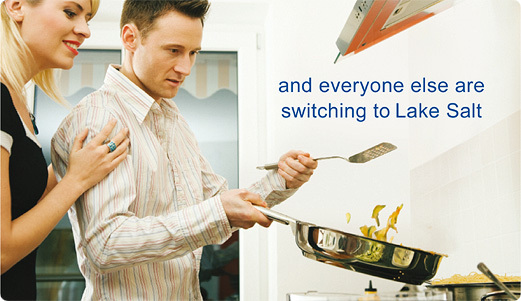 Lake Crystal natural lake salt is the ideal ingredient for everyday use in the kitchen and at the table. 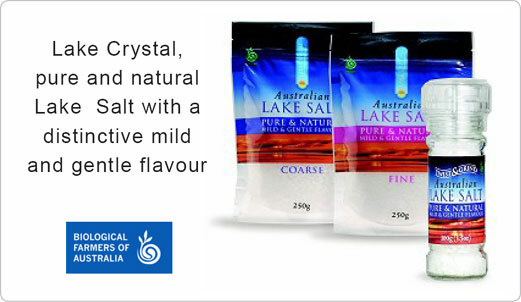 Lake Crystal natural lake salt is a unique food product, naturally harvested from a 5 million year old salt lake situated in the remote regions of Western Australia, an ecologically pristine environment. Like sea salt, Lake Crystal contains several trace elements, such as calcium & magnesium....Unlike sea salt, it's unique flavour is subtle; mild and gentle to taste. 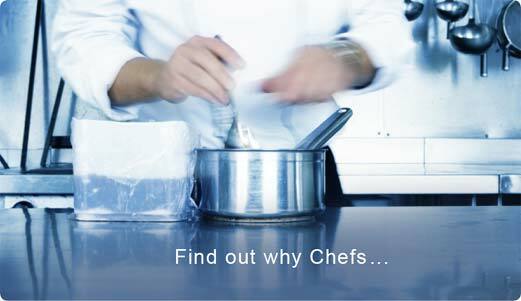 Its unique depth of flavour proves to be economical, used by chefs and food professionals the world over. 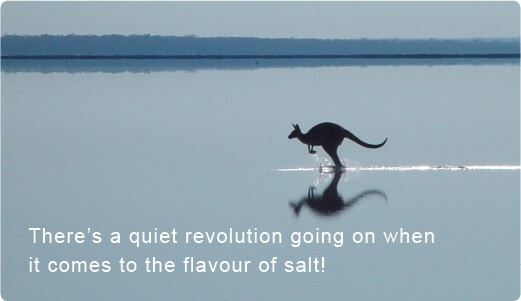 Lake Crystal natural lake salt has been accredited by the Biological Farmers of Australia, Australia's leading organic accreditation body.